El PASO – Sun City artists are showcasing their art in the sun. After a tragic car accident took the lives of Jeannette Lazaro and Evalynn Rose, both close friends of Silver IsReal, he found a way to deal with the grief and keep the spirit of both girls alive. With this concept in mind, he and Carlo Mendo cofounded the Urban Art-Fitters Street Gallery project. “Make love not war was the last thing that Jeanette wrote on her mirror before she passed away, and it is something that I keep really close to my heart. I wanted to keep her and Evalynn’s spirit alive so I started the ‘Make love not war’ project” IsReal said. “Make Love not War is the message and ANYTHING can be our canvas,” says IsReal on his personal Facebook page. IsReal and Mendo wanted to find a way to beautify one of the poorest zip codes in the city, and they decided to do that by painting murals in abandoned downtown alleys. “People who live in the 79901 area wake up to the smell of dumpsters and feces; it’s a sad thing too know so we wanted to find a way to add more life and beauty to the area,” said Mendo. The Urban Art-Fitters Street Gallery project was created in April when IsReal and Mendo gathered 10 local artists to help them paint murals on walls in the downtown area. With the permission of local CBA building owners, they painted murals from downtown 6th street all the way to Overland. The Urban Art-Fitters Street Gallery project is non-profit and is based on donations. All the paint that is used for the murals was donated by local community painters. Brushes and rollers were donated by St. Stephens Catholic Church. 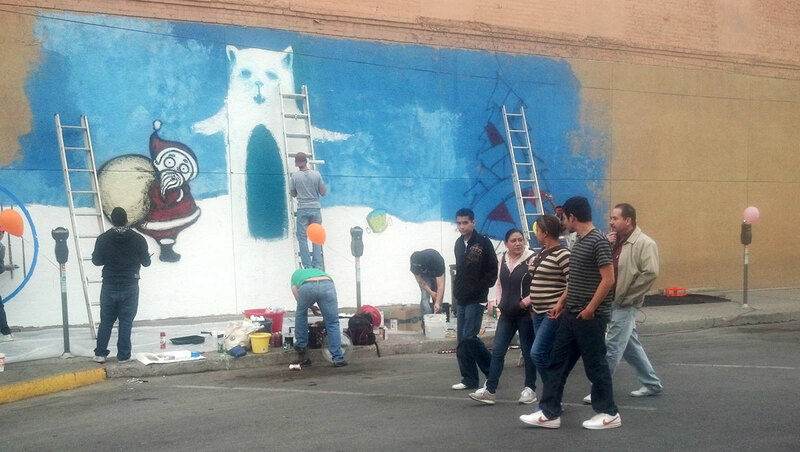 This past weekend Fourth Street in downtown was closed to let the Urban Art-Fitters League of El Paso paint a “winter wonderland” themed mural. 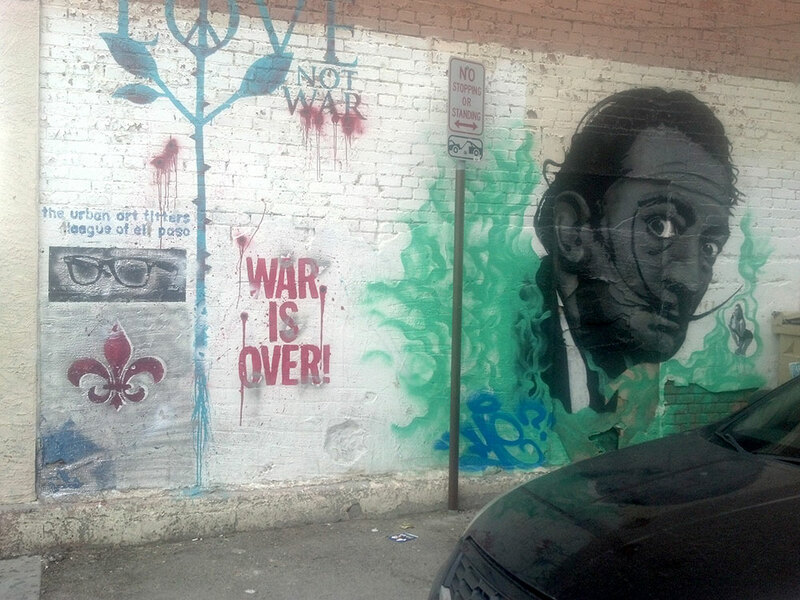 This mural can be seen on the wall of Krystal Jeans, a downtown store. 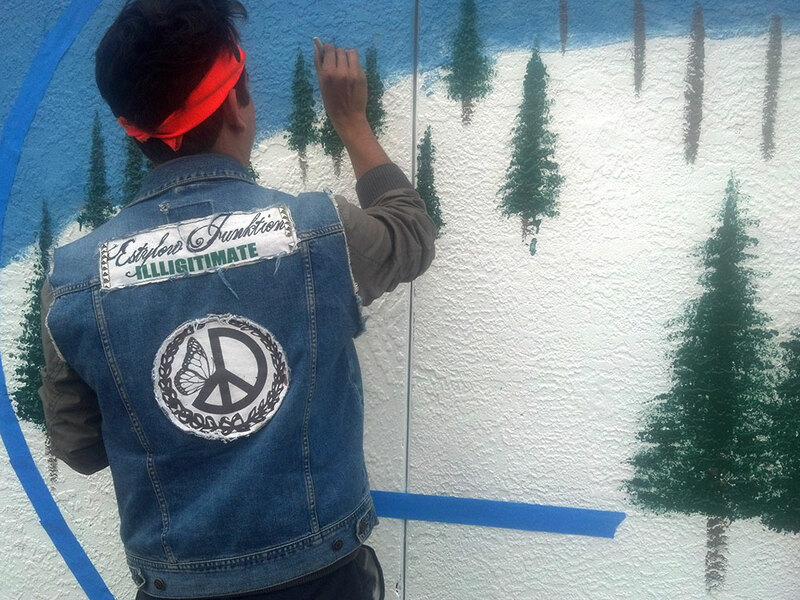 Eddie Marquez “Dead Boy”, Gabriel Marquez, Gno Madrid, and Tino Ortega collaborated on the “winter wonderland” mural, each adding their own artistic style to the Christmas inspired painting. Families shopping downtown stopped and stared in amazement at the huge mural being painted, and some even stopped to snap pictures while kids sat on the sidewalk and stared at the artists as they painted away. The Urban Art-Fitters Street Gallery project has been gaining local media attention. 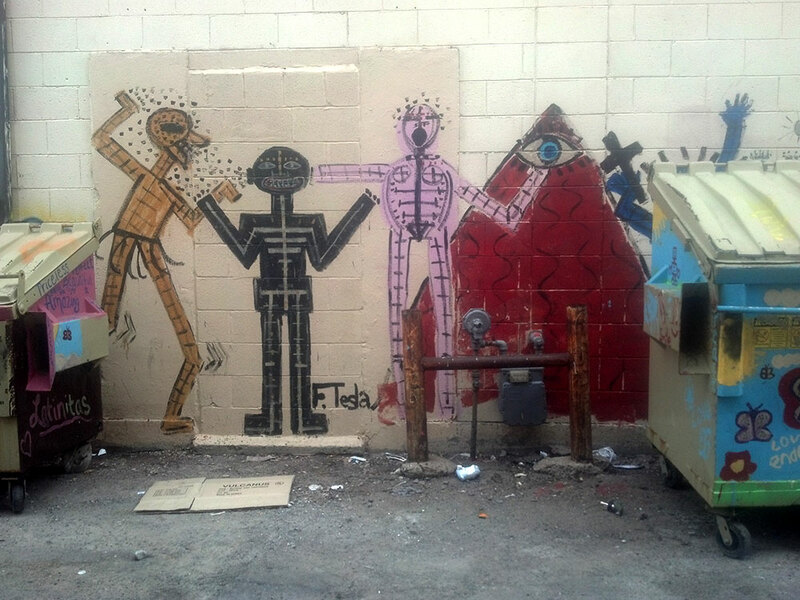 KFOX, News Channel 7, and What’s Up magazine are two of the local media outlets that have taken an interest in the downtown street alley project. Local non-profit organizations such as Latinitas have also joined the project and volunteered their art skills to paint inspirational quotes and pictures on alleys in the 79901 zip code. More information on the project and the artists who are a part of the Urban Art-Fitters League of El Paso can be found on their Facebook page. Iris Lopez is a Senior at The University of El Paso. She plans to graduate in the spring of 2013 with a major in Multi-media journalism and a minor in spanish. Iris currently works saturdays and sundays as an on-air personality for a local radio station, 104.3 HitFm, and goes on-air by the name 'Lily Lopez'. After graduation she plans to further pursue a career in entertainment broadcasting either in radio or television.